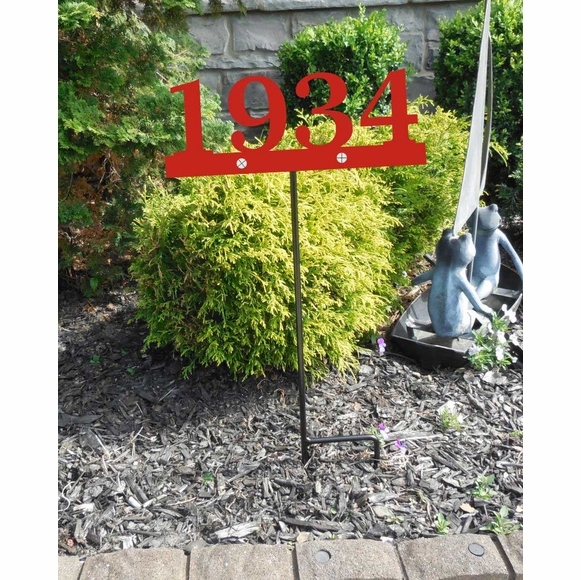 Floating Address Number Lawn Sign - - a Comfort House exclusive custom made for you. Made in USA. When attached to the lawn stake, the characters will indeed appear to float above the ground. ** Our floating character plaque can also be manufactured in a size up to 36" wide and/or with a larger character size. See example above (in first small image on right) of the 19486 address sign made with 6" characters. Please contact Customer Service with your specifications for a quotation.